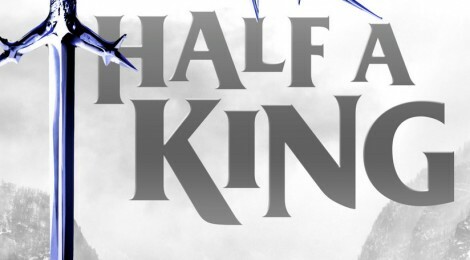 Book Review - Half a King, Joe Abercrombie - Honk if you love justice! Joe Abercrombie’s Half a King is my first book of his, and it’s great, if not ground-breaking. It follows young Prince Yarvi, who has a withered arm, content to step away from the throne and dive into a life of books and study. Not strong enough to fight, he hones his mind, but everything changes when his father and brother are killed and the throne is thrust back upon him. It goes from bad to worse when he is betrayed and left for dead. What follows is a quest for vengeance, and to retake the throne he didn’t even want. Joining Yarvi are a cast of odd crooks and malcontents, forming an uneasy alliance while fleeing captivity. Undoubtedly a YA novel, it’s not nearly as dark some of Abercrombie’s other work from what I’ve seen, but the book serves as a great palate cleanser between heavier reads. There’s action and humor and twists you may or may not see coming. The book is available now via Amazon or B&N. Thanks to NetGalley for the copy.